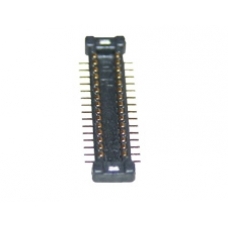 The touch screen / digitiser ribbon connector is a surface mounted component located on the iPhone 3G logic board and allows connection of the touch screen / digitiser cable. This part can be easily damaged if care is not taken when removing the screen assembly from the iPhone logic board. Note: replacing this component requires surface mount soldering skills. * Connector 2 on the Logic Board.